In 1905, Dr. Ludwig Amster and Dr. Floyd Willcox McRae founded Piedmont Hospital and were considered "ahead of their time." Since its beginnings, Piedmont Hospital has been a pioneer in patient care, fulfilling the health needs of our neighbors in Atlanta and the surrounding communities. 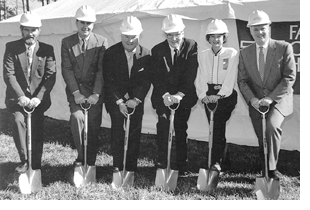 To learn more about Piedmont Healthcare and our historic moments, browse our timeline below. At Piedmont Healthcare, we've been honored to serve the Atlanta community for more than 100 years, and we thank the gracious families who have entrusted us with their care throughout the generations. Ludwig Amster, M.D., and Floyd McRae M.D., a surgeon from Telfair County, Georgia, initiate Piedmont Sanatorium. Offering both medical and surgical services, the institution, a for-profit endeavor, provides a range of services. 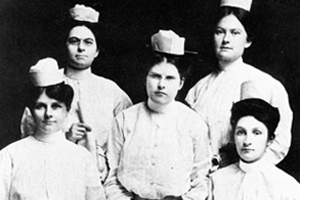 The Piedmont Sanatorium Training School for Nurses graduates its first five students. By 1908, eight additional like-educated and highly-skilled specialists join Piedmont Sanatorium, increasing the number to a total of 11 physicians offering their expertise for patient services. Among them is James E. Paullin, who initiates the first laboratory at Piedmont. 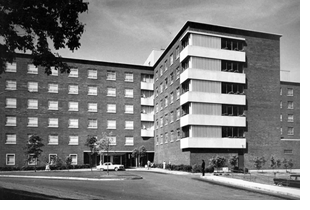 A five-story annex is built to accommodate continued growth of the institution after WWI, bringing the total number of beds to 132. The annex provides a unique fire escape with the ability to evacuate patients on a slide from all floors. The Piedmont Hospital Bulletin, a publication under the direction of the Clinical Society of Piedmont Hospital, presents its first volume. The publication was a compilation of Piedmont Hospital physicians' medical experiences and recommendations, sent throughout the Southeast as a training tool for other physicians. It was produced until the mid-1950s. Ms. Genevieve Garren, A Piedmont Hospital School of Nursing (PHSN) graduate of 1923 is hired as Director of Nursing. 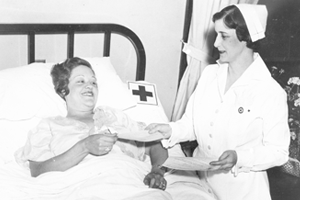 She maintained her leadership with the School of Nursing until 1966. Hospital Administrator, George Burt, in conjunction with other hospital administrators, introduces group insurance. 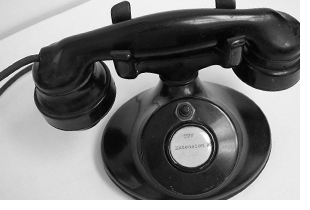 Piedmont Hospital becomes the first in the nation to install telephones in patient rooms. Ludwig Amster, Piedmont's co-founder, dies in New York at the age of 72. 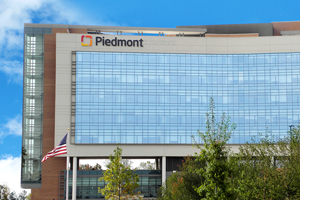 Under a new charter, Piedmont Hospital becomes a "not-for-profit" tax-exempt institution. Piedmont physicians and nurses volunteer their services for WWII efforts. 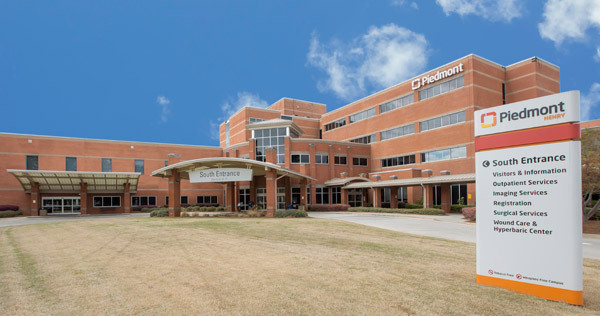 The Piedmont Hospital Board of Trustees unanimously authorizes the purchase of property known as "Deerland" on Peachtree Road from Mr. Jack J. Spalding in hopes of erecting a new hospital. 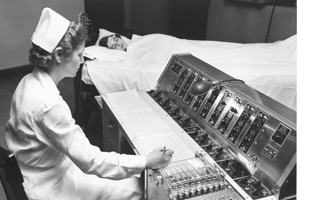 The first EEG department in Georgia within a private hospital is established by Dr. William A. Smith at Piedmont Hospital. Dr. James Edgar Paullin is awarded the Medal for Merit by President Harry Truman. Piedmont Hospital breaks ground to erect a new hospital facility in Buckhead. 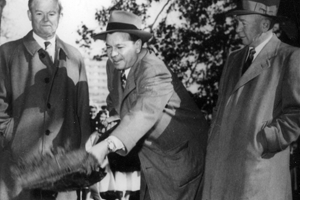 Governor Herman Talmadge attends the ceremonies. 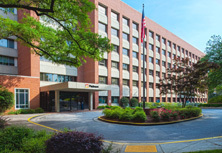 Piedmont Hospital moves to its current Peachtree Road location in Buckhead on property previously known by the public as "Deerland". 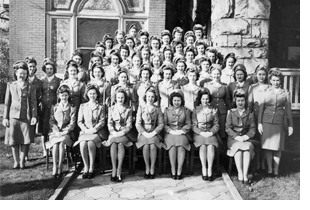 The Women's Auxiliary of Piedmont Hospital is founded as a volunteer service to serve for the betterment of the hospital. Mrs. Strother Fleming, Jr. serves as its first president. Dr. F. James Funk, Jr., a Piedmont orthopaedic surgeon, initiates visits to rural areas on a routine volunteer basis. 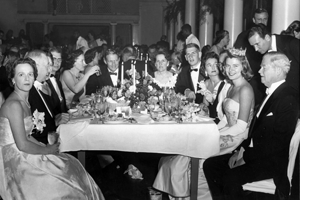 The first annual Piedmont Ball is hosted by the Women's Auxiliary to raise funds for a student nurse dormitory adjacent to the hospital. Dr. James Funk Jr., M.D. begins Piedmont Hospital's association with Atlanta by initiating agreement for orthopedic and medical care for the Atlanta Braves and the Atlanta Falcons. 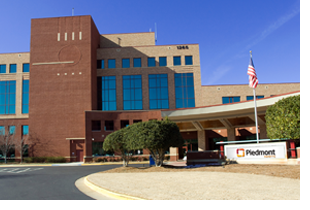 A four-bed coronary care unit, the first in Atlanta, opens at Piedmont Hospital. 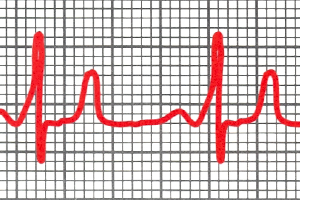 Piedmont initiates first monitoring of cardiac patients outside of the Coronary Care Unit. 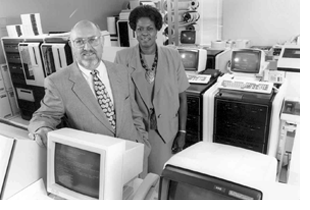 A hospital-wide computer system is installed. 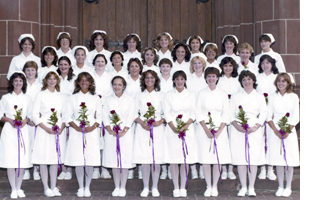 The Piedmont Hospital School of Nursing closes with the last class - a total of 1,988 graduates since it's inception in 1905 following a legacy of educational excellence. 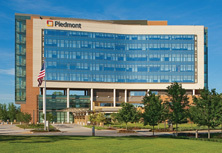 Open Heart Surgery begins at Piedmont Hospital. Piedmont breaks ground to erect a new hospital in Fayette County. Piedmont Healthcare and Mercer University form the Center for Health and Learning, a partnership that leads to a number of joint initiatives including nursing, pharmacy, research and other medical allied health education programs. 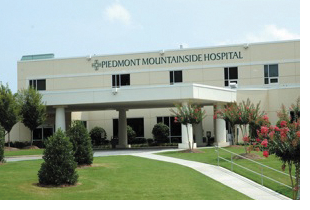 Piedmont purchases Mountainside Medical Center in Jasper, Georgia. Piedmont performs its first liver transplant. Piedmont is one of only two hospitals in Georgia to offer an adult liver transplant program. Piedmont Fayette Hospital celebrates its 10th anniversary. 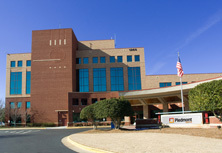 Piedmont Healthcare purchases a 143-bed hospital in Newnan with plans to erect a new hospital facility. G. Michael Bass is president and CEO. The first paired organ donation in Georgia takes place when teams at Piedmont and Albert Einstein Medical Center in Philadelphia perform two kidney transplants. 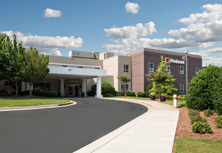 Piedmont West Medical facility opens to accommodate growth within metro Atlanta. Piedmont Healthcare sends supplies and staff to assist with the devastating earthquake in Haiti. Les A. Donahue is named President and Chief Executive Officer of Piedmont Hospital. Piedmont Transplant Center becomes Piedmont Transplant Institute to better reflect its accomplishments as a leader. 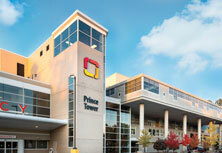 Piedmont Fayette Hospital earns its fourth award as one of the nation's 100 Top Hospitals®. Piedmont Hospital is named Best in Atlanta for Overall Cardiac Care, Cardiac Surgery and Coronary Intervention by HealthGrades®. 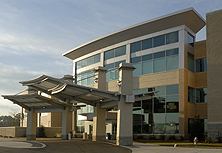 Henry Medical Center in Stockbridge, Georgia becomes Piedmont Henry Hospital, the 5th community hospital within the Piedmont Healthcare system with Charlie Scott serving as CEO. Piedmont Healthcare announces the passing of R. Timothy Stack, CEO and President of Piedmont Healthcare who leaves a legacy of integrity, accomplishment, vision and courage. Piedmont Hospital performs its first heart transplant.